Highly desirable corner property in upcoming Washington Park secondary consideration location for the Obama Library. 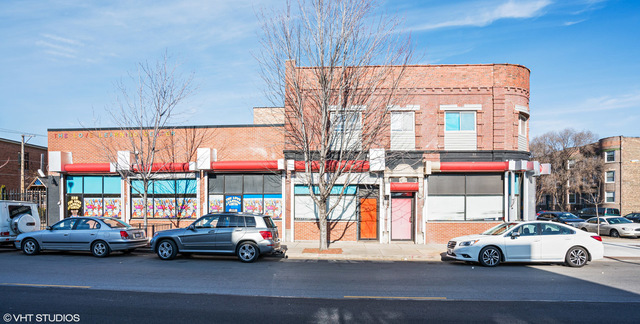 B3-2 zoning allows for excellent commercial retail and mixed-use apartments above storefronts. Perfect for new construction or any type of business. Land frontage is excellent with 128' width x 95'. Building has a large first floor and second floor amply providing over 18,000 sq. ft of interior space plus a basement. Currently a prosperous not-for-profit day care with licensing approved for 94 students. Excellent financials. Annual gross receipts in high six figures. Building wraps around on to Prairie Ave., with a catering kitchen. Caterer will lease back for several months or until new location found. First time on market. Truly a fresh offering. Tons of development in area. Next Bronzeville. Photos, floorplans, drone. Very close to Washington Park almost steps away. Soon to be recognized as one of the City's greatest parks. Also close to Hyde Park, due east.